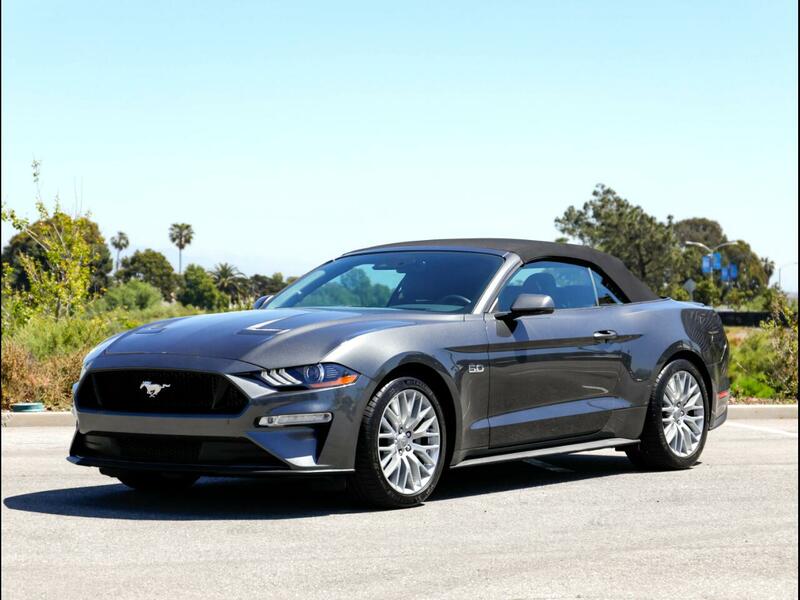 Chequered Flag International is proud to offer this 2018 Ford Mustang GT Premium Convertible with 4,667 miles. Magnetic Metallic over Black interior and Carfax Certified One-Owner. Highly optioned with: Safe & Smart Package (adaptive cruise, blind spot monitor, pre-collision assist, lane keeping alert, rain sensing wipers, auto high beam etc), Equipment Group 301A (sync, selectable drive modes, Sirius, etc), Premium Plus Package (digital cluster, voice activated navigation, premium trim, etc), plus Heated & Cooled Front Seats. Barely six-months old with 30 of 36 months left of full warranty (10/2021 or 36k miles) and 54 months and over 55k miles left on powertrain. Comes with books & both keys. Inspections encouraged. All sales AS-IS. Sales tax and license fees due if delivered in California.